I was planning to go to bed in a somewhat reasonable hour tonight, but it wasn't meant to be. I was planning to go to bed in a somewhat reasonable hour tonight, but it wasn’t meant to be. A few minutes ago, I got emails from WordPress.org saying that Garfunkel and Rams are both available for download on the theme depository. Garfunkel is a stylish sibling to Baskerville, sporting a tiled Pinterest style layout, plenty of post formats and an extensive meta section for posts. It also has support for Jetpacks infinite scroll function. No more clicking on “Older posts →” when you reach the bottom of the page. Like most of my themes, it allows you to set a custom accent color and upload your own logo. 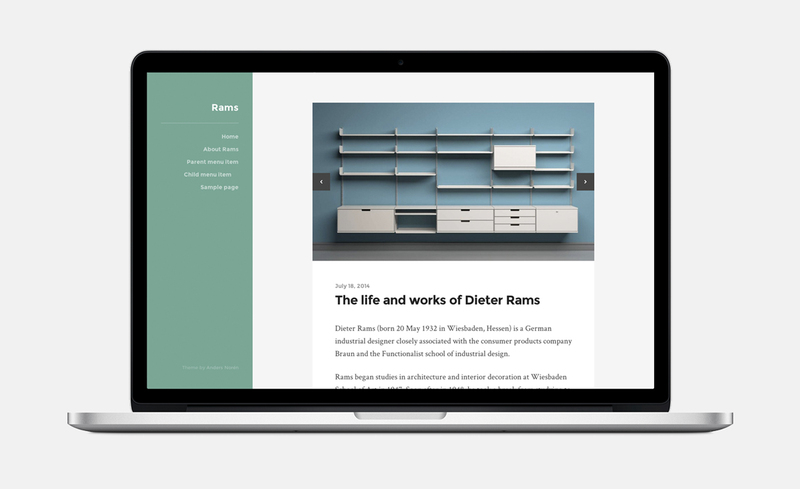 Rams started out as a personal challenge for me to design, develop and submit a theme in 24 hours. I ended up needing another 24 hours before I was happy with it, but I think the extra time paid off. Rams is probably my favorite theme so far. 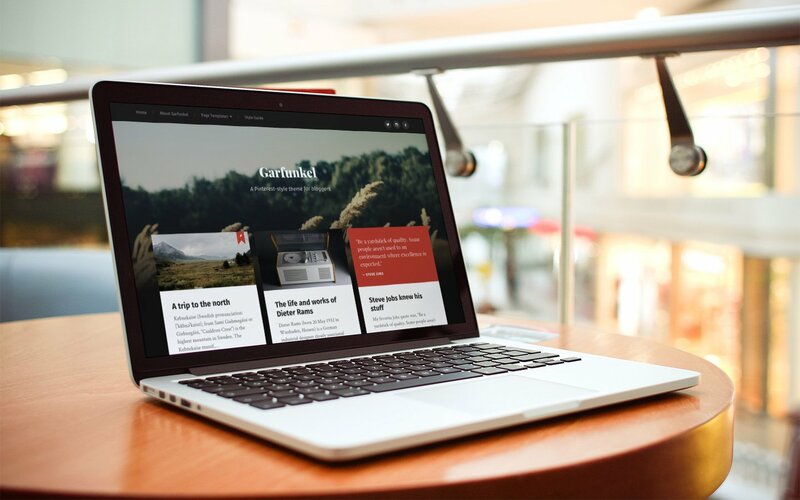 It’s clean, simple and very focused in both design and functionality – a proper bloggers theme. Garfunkel and Rams made their way through the review queue a lot faster than I thought they would. That hopefully means that Hoffman will be released pretty soon as well.